I wrote this rant, last year in December, 2014. To be honest not much has changed since then. In fact, it seems that some of the things mentioned in this post last year have gotten progressively worse! 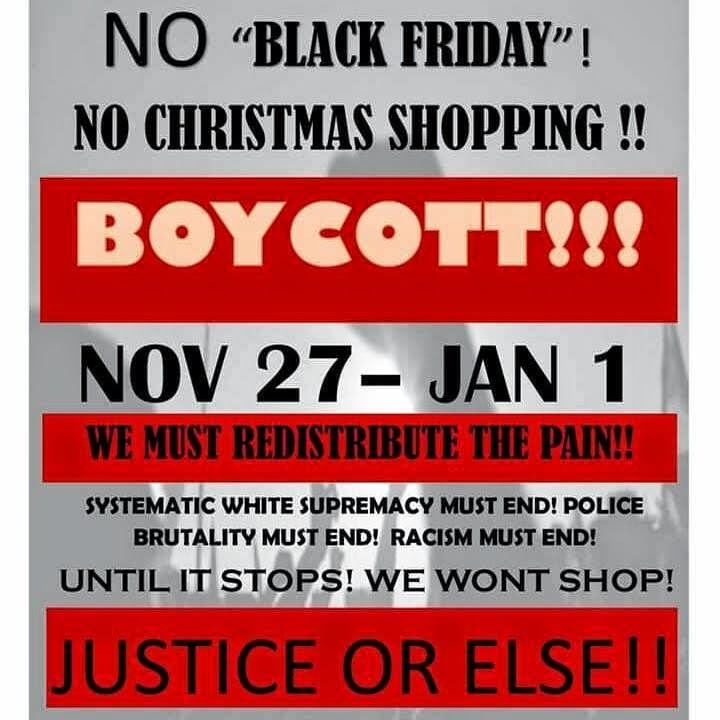 There is an interesting twist to this year’s Christmas rant… Now we have to add “Justice Or Else” and “BlackLivesMatter” and aren’t we supposed to be boycotting? Whatever happened to hope and change? So, I am going to leave this Rant pretty much intact. All you really have to do is change the date from 2014 to 2015 and add, “More Of the Same” after every paragraph. I would like to add however, that this year has me aching in my heart because not only is this the biggest disinfo campaign of the past 2000 years, modern day man continues to deceive his/her children about some fat white dude coming down some chimney to bring them toys! Let’s just look at that aspect of this bizarre story. How many houses have chimneys anymore? I mean, we got condos and high-rise buildings and apartment complexes, and ain’t no damned chimneys nowhere in their homes! Why don’t these modern day children, with all manner of access to technology and information, tell their parents to stop lying to them? Sigh. My real rant is how unnerving it is to receive “Season’s Greetings”, “Merry Christmas” etc., etc., etc. from these so-called “New Agers”. Don’t they know that it’s all a hoax, at best and quite fabricated? If they are contacting “Ancient Aliens” and/or “Mary” haven’t they been told that this is a bunch of balderdash to just grab people’s money?